(Trenton) – NJDOT officials today announced temporary lane closures on Route 54 in Hammonton Township, Atlantic County beginning this week as the third phase of the Atlantic City Expressway widening project begins. The ongoing $61 million South Jersey Transportation Authority project - which began construction in September 2009 - is adding a third travel lane in the westbound direction from the Garden State Parkway to Route 73. The project covers a distance of 24.1 miles, which is approximately half the length of the Expressway. Widening the Expressway from two lanes to three will reduce congestion and increase safety by eliminating the need to merge. SJTA’s contractor for phase 3 of the project, South State, Inc., is scheduled to implement lane closures on Monday morning, June 3, to allow the installation of temporary shielding on the Atlantic City Expressway bridge over Route 54. At least one travel lane will be open in each direction during the construction. SJTA expects this portion of the project to last a few weeks, with the anticipated completion of the entire Atlantic City Expressway widening project in the summer of 2014. The precise timing of the work is subject to change due to weather or other factors. 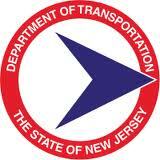 Motorists are encouraged to check NJDOT’s traffic information website www.511nj.org real-time travel information.